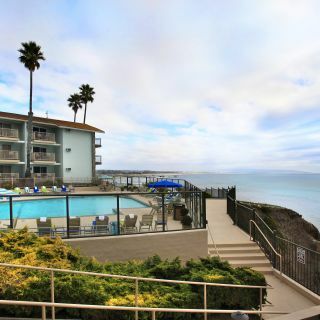 Soaring 90-feet above the Pacific Ocean, Shore Cliff Hotel is a scenic hotel in Pismo Beach, CA, featuring 100 spacious rooms with stunning views, therapeutic spa services, and the largest heated pool with a glass-enclosed sundeck overlooking the glistening coastline in Pismo Beach. 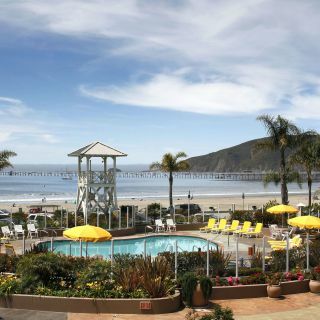 Previously known as BW PLUS Shore Cliff Lodge, Shore Cliff Hotel has transitioned to a premier choice among Pismo Beach hotels. 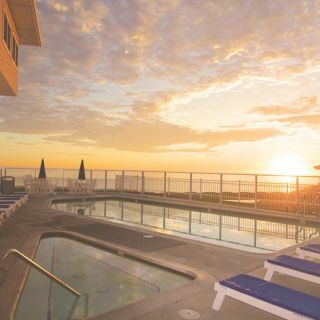 This welcoming destination features residential-style accommodations complete with a patio or balcony, a refrigerator, microwave and coffeemaker. 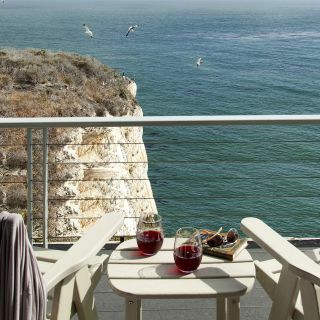 Ideal for Central California family vacations, romantic getaways, weddings and events, Shore Cliff Hotel provides easy access to tide pools and caves, championship golf courses, breathtaking hiking trails and one-of-a-kind boutiques and antique stores.